The rumors are true, the real estate market in Keller is booming. Buyers are out and searching for their new home and if you are thinking of selling, now is a great time to consider putting your home on the market. We could call this a "seller's market" if there were enough sellers to accommodate the buyers. July 2014 started with 176 homes on the market in Keller. That is down 17% from last year! The Keller and Northeast Tarrant county markets are booming; and with start of the new school year just around the corner the urgency to find a new home is there for buyers. 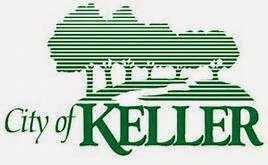 Keller's outstanding park and recreation system provides a variety of leisure activities for residents. Recognized nationally as one of the most desirable places to live in Northeast Tarrant County, Keller offers you the small town feel with all of the advantages of living in a major metropolitan area.